If you are looking for information on the Atlanta Bread franchise business opportunity, Atlanta Bread bakery franchises or Atlanta Bread franchising, then you have come to the right place. 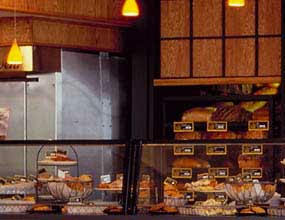 Since its inception, Atlanta Bread Company® has experienced significant growth. We have refined the concept and updated our Bakery Cafés to keep pace with ever-changing times and tastes. Franchise opportunities have been available since 1995 and are proven to be a tested, successful venture. Today, the quick-casual concept is globally appealing - across regional and cultural borders. In addition, it is easily deployable and extendable - one Bakery Café can lead to several in very little time. Furthermore, when properly executed, this concept has the potential to be very profitable. Market analysts and industry watchdogs claim that the trend towards healthy eating is only becoming heartier (Wall Street Journal, 2/5/02). Today's consumers demand quality, healthy food in less time due to their busy schedules. People are growing tired of typical "burger fare" ... they are looking for something more unique. Research shows that the highest growth portion of the general population spends the most on restaurant dining (Yankelovich: QSR Fast Casual Focus Group). Yet, consumers are more knowledgeable than ever regarding the nutritional value of what they eat. At Atlanta Bread Company Bakery Cafés, customers know what they are getting ... fresh, quality ingredients. That's why they keep coming back!